Former museum director Alan Baker was a keen scuba diver with research interests in marine invertebrates (especially sea urchins and starfish), fish, whales and dolphins. Te Papa turned 150 years old on 8 December 2015. 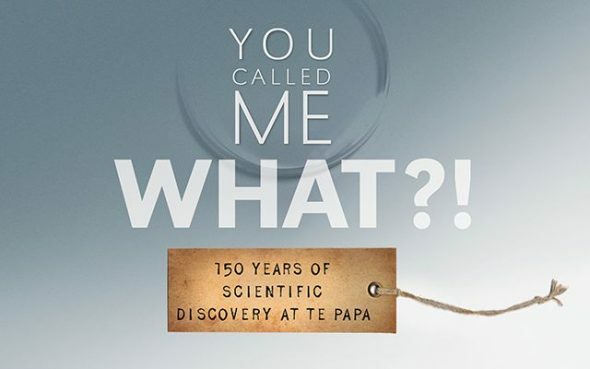 To celebrate 150 years since the opening of the Colonial Museum in Wellington, the exhibition ‘You called me WHAT? !’ is open on Level 3 until the end of 2016. The exhibition, and this series of blogs, explore the history of the museum by showcasing some of the more than 2,500 animal and plant species named by museum staff since 1865 – and seek your suggestions for names for species that have yet to be described and named. This eleventh blog in the series features the museum’s eighth Director – Dr Alan Noel Baker (1940 -). Baker was a curator at the Dominion Museum 1968-89 (including when the museum changed its name to the National Museum in 1972), Assistant Director of the National Museum 1980–89, and Director of the National Museum 1989–92 – just before the museum changed its name to Te Papa. During his three years in charge, Baker oversaw the development and opening of the Hector Library (incorporating the collection of the Wellington Branch of the Royal Society of New Zealand), and was heavily involved in planning for the new Museum of New Zealand Te Papa Tongarewa. 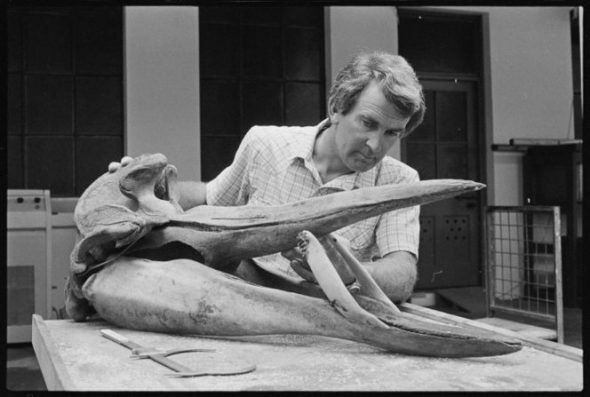 After leaving Te Papa, Baker worked for the Department of Conservation before retiring in 2003. 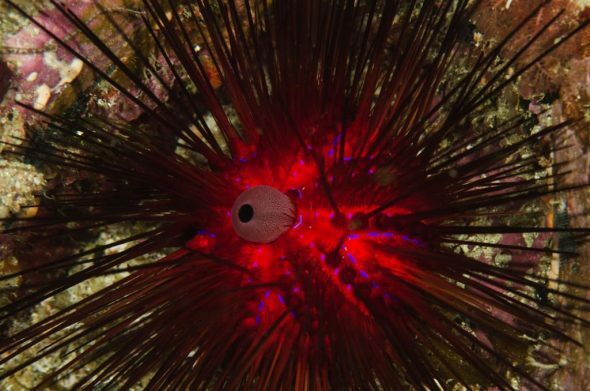 Among the 41 species and four genera so far named by Baker was a spectacular long-spined sea urchin from the Poor Knights Islands – Diadema palmeri – that he named after its discoverer. William (Bill) Palmer and Kelly Tarlton of the Whangarei Underwater Club collected seven specimens of this urchin from depths of 24-46 metres between October 1965 and January 1966. The only member of the tropical genus Diadema occurring in New Zealand, D. palmeri has brilliant scarlet skin highlighted with neon blue stripes and spots. The best-known animal named by Baker – at least in terms of media coverage and public awareness – is Maui’s dolphin. 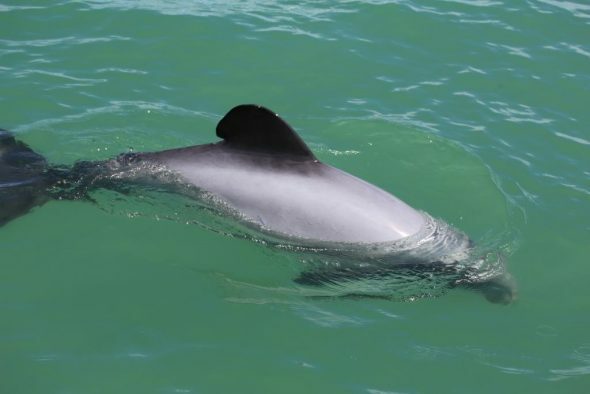 A subspecies of Hector’s dolphin confined to coastal waters off the west coast of the North Island, Maui’s dolphin has the unfortunate distinction of being one of the world’s rarest dolphins, with an estimated population of only 55 animals. The population is considered to have dwindled to near extinction through the animals becoming entangled in fishing nets. The subspecies name (and common name) are based on the Maori legend about the creation of Aotearoa/New Zealand, where Maui fished up the North Island, Te Ika a Maui, from the ocean depths. The name also provides links back to the founding director of the museum. Not only did Sir James Hector have the nominate form of the dolphin named after him, but he referenced Maui (“the traditional discoverer of New Zealand”) in Mauisaurus, a genus name that he created for a fossil (Late Cretaceous) plesiosaur. 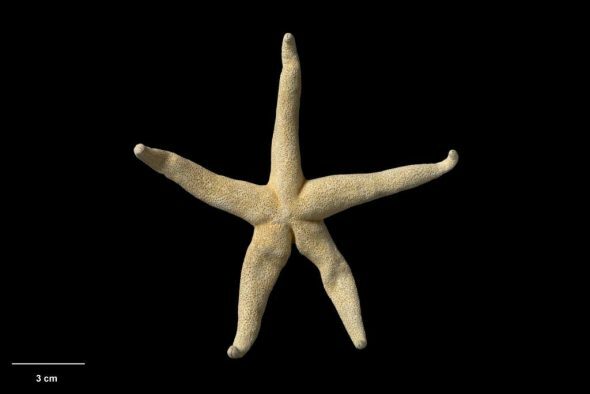 Four species of echinoderms from New Zealand and Norfolk Island have been named after Alan Baker: the starfish Knightaster bakeri, the pencil urchin Notocidaris bakeri, the sea urchin Caenopedina alanbakeri, and the brittle-star Amphiophiura bakeri. 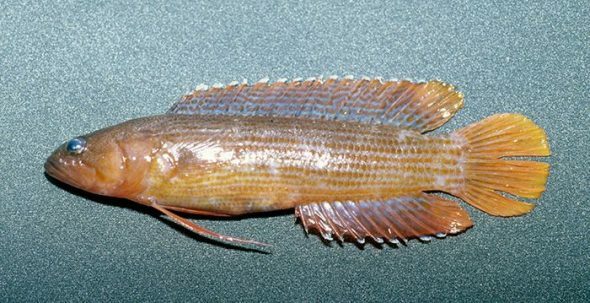 For 150 years, Te Papa scientists have been working to discover, describe, and name new species. Now it’s your turn. Celebrate 150 years of science at Te Papa by helping us name a new species. You might just go down in history. Suggest a name for this Acanthoclinus rockfish. We’ll seriously consider your idea.